Enrique Gil says he is now more serious about honing his acting skills. Enrique Gil said he and Princess and I cast members Kathryn Bernardo, Khalil Ramos, and Daniel Padilla have gotten even closer these past few weeks. "Masaya naman. Mas naging okay kami siyempre, mas barkada na kami. We got closer, lalo na sa kalokohan. Kami ni Khalil lagi partners, so dun lang nagkakasundo kami. Solid na lahat. With Kathryn okay rin naman, same as always. She's always nice," he said. After being busy with movies like The Reunion and Amorosa: The Revenge, Enrique said his work schedule has become less hectic and he can focus more on preparing for the show's last few episodes. "I'm okay lang, hanging in there. Okay naman yung sched, medyo nag-lessen kahit papano. Nakakatulog naman ako sa set. Actually lately lang talaga super busy. Before, when I was in Mula Sa Puso, early on I was just doing it because I had to but now I'm doing it because I want to. I fell in love with craft and I enjoy doing it. I don't see myself doing anything else but this. I don't see myself in an office. But if I weren't an actor I would be studying animals I guess or making my own business with the family. I like studying animals like in marine biology, but maybe not here, maybe abroad like in Spain or in the States," he explained to Push.com.ph. The young heartthrob said he is also looking forward to the Kapamilya US Tour happening next month. Even though Enrique has already vacationed abroad many times, he is excited to meet their loyal PAI fans in the States. "Siyempre sobrang saya namin kasi at least it would mean more time together. First time ito na makakasama ako sa Star Magic tour and it's going to be awesome. I want to see all the fans abroad. I think our show comes out twice a day sa States, once sa hapon and once sa gabi so Pinoys really watch it, even American girls even know about it so wala lang. I just want to see and meet them," he shared. Enrique is also keeping his fingers crossed that there will also be time for some sightseeing while they visit different cities. "I've been there a few times for vacation with family. This time walang time for side trip. I don't think may time na magpasyal. I doubt it kasi dire-diretso lahat eh. Pero kung may time ako, why not?" he added. Enrique said he learned a lot from being part of Princess and I, especially with the pointers he received from director Rory Quintos. "She's very professional. Sometimes kasi when we're working like super tired, segue, segue, you know. Sometimes when we're kind of tired, she energizes you up and you learn a lot and that's a good thing. That's the main point why she's a director and she's been in the business for a long time. She's a mentor to a lot and she teaches people so we're really happy that she's here kasi only some people can really teach you the right ways and she has so I'm happy," he explained. Although he will be abroad with the Princess and I cast this coming Halloween, Enrique shared what he and his family like to do during the long weekend. "Usually we go to the beach. It depends on what the family plans like if they want to go to Cebu like if our relatives want to see us again or they could decide to go to Australia or the States or Spain. Depende lang talaga sa feel namin and kung may trabaho, kung hindi kami kumpleto, we'd just rather stay home or siguro we just to our province in Cebu para malapit lang and we can get back to Manila and work agad," he said. After Princess and I, Enrique shared what he plans to do with his earnings from the show. "Siguro one is fixing the house. I want the house to be fixed and maybe siguro a new phone para bago phone naman. I have no idea what model, two years ago na ito and I just want something new naman. Pag-iisipan ko muna kung ano ipapalit ko," he said. 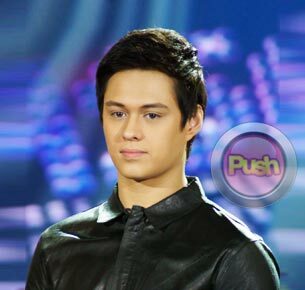 For more updates on Enrique Gil, log on daily to Push.com.ph and follow @Push_Mina on Twitter.